During next month’s primary election, there will be 3,069 different ballots. According to North Carolina General Assembly Senior Counsel Gerry Cohen, Iredell County — population 162,000 — will have 249. This is simply ridiculous. 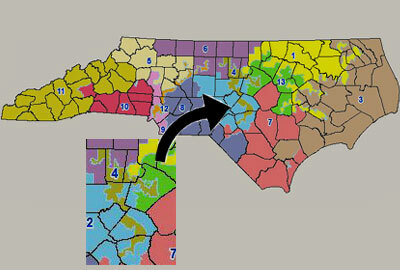 Here’s an idea for combating voter “fraud” (and general chaos in North Carolina elections): Simplify our voting districts by doing away with gerrymandering and enacting non-partisan redistricting ASAP. Previous PostGov. McCrory embracing at least part of Affordable Care ActNext Post Richard Burr blue slip watch Day 293: Is NC Senator really throwing in with the secessionists? Is this post from 1995? This is like a time warp this stuff has been going on so long…..